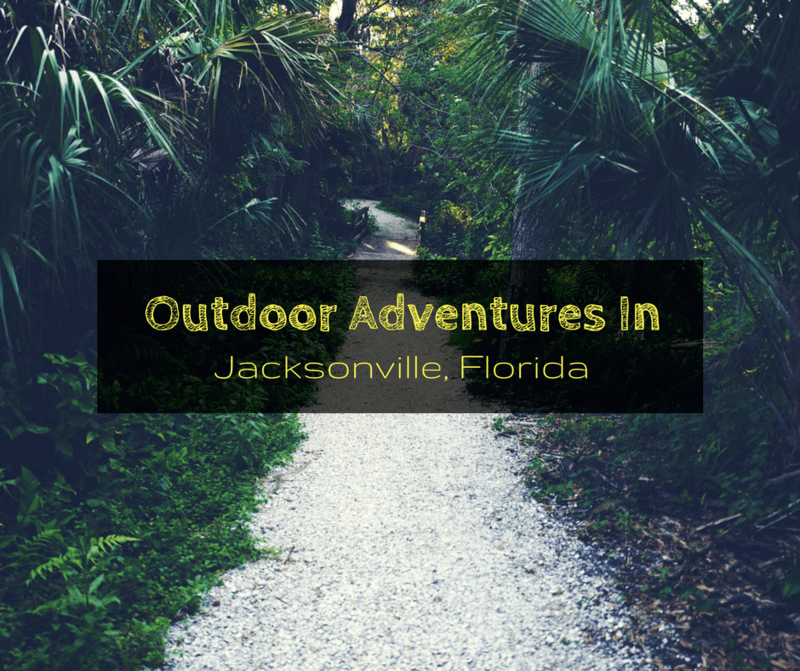 Outdoor adventures abound in Jacksonville, Florida. From hiking to kayaking to running to diving, there are plenty of activities to keep you moving and active in the River City by the Sea. There are plenty of places to hike in Jacksonville, but one of the most peaceful and scenic is the Timucuan Ecological & Historic Preserve. The preserve offers its visitors many trails, some of which run along beaches, under shady hammocks, or along wetlands. At the preserve, visitors can still see what Old Florida used to look like. Many of the trails are dog friendly as well, so feel free to bring Fido along! This year we went kayaking for the first time and loved it! We went kayaking in Miami, and now we’re always on the lookout for more places to do this fun sport. With so many waterways in the city, it’s easy to see why it would be a popular outdoor activity in Jacksonville. Choose from urban kayaking with the city’s high-rise buildings in the background or ocean kayaking where you can see animals such as dolphins or sea turtles. Did you know Jacksonville has the largest urban park system in the U.S.? The city has more than 80,000 acres of parks, including 10 state and national parks, the national preserve we mentioned earlier, and many city parks. These parks are the perfect places to go for a run. Another popular running spot for locals in Jacksonville is one of the five bridges in the downtown area. As beautiful as they are, though, we’ll probably stick to the parks. Jacksonville has a pretty extensive reef system, so it is a great place to go diving. Visitors can explore wrecks and both offshore and inshore reefs that are home to a variety of fish, coral, and sponges. According to locals, visibility can sometimes be as good as 100 feet, so divers can see anything from groupers to sharks. For the calmest waters and best chances of seeing more animals, visiting during the summer months is recommended. – While exploring Jacksonville and spending time outdoors, remember to check the weather. The last thing you want is to get caught in a storm while you’re kayaking. – Remember to always have water on you, even during the cooler months. – Because the weather can change drastically in Florida, make sure to bring both sunscreen and an umbrella. You could easily experience a blazing sunny day and then pouring rain within a few hours. – Be sure to check out Jacksonville’s growing food scene to fuel up for those outdoor activities. There’s a melting pot of flavors, including amazing seafood and classic Southern comfort food. – We recommend staying in a hotel near downtown Jacksonville. That will put you in a central location, close to many of the city’s outdoor activities. Have you been to Jacksonville? Are there any other outdoor activities there that you would recommend?